Make this Smoky Instant Pot Ham and Bean Soup Recipe (Pressure Cooker Ham and Bean Soup). No need to pre-soak the pinto beans with dump-and-go option. Super easy to make and deliciously comforting to eat! 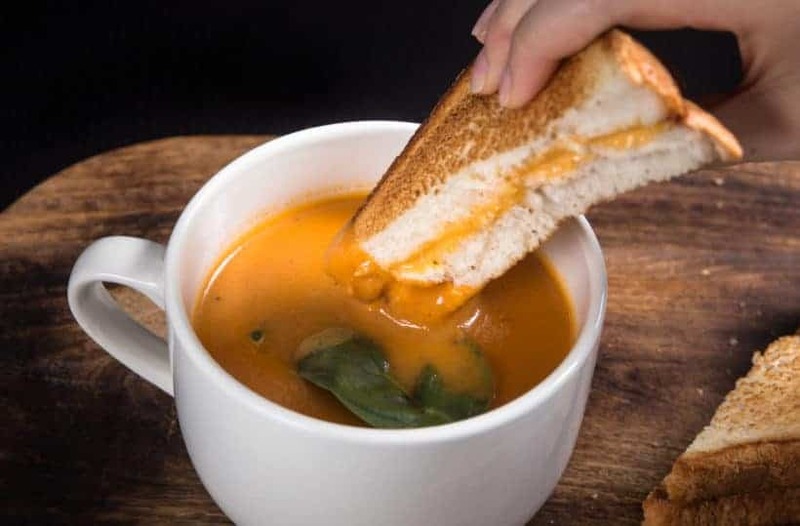 Any of you huge fans of the nice cool Fall/Autumn weather (aka Soup Season)? Time to put away the tees & shorts, and dig out the Fall/Winter wardrobe! But nothing beats a warm & flavorful bowl of homemade soup that satisfies the depths of our soul. 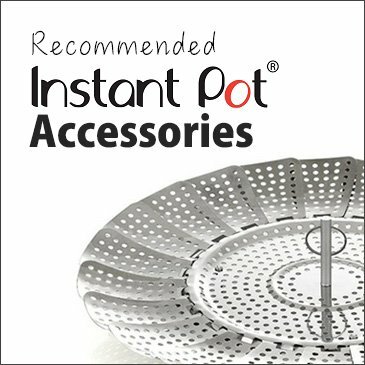 What’s your favorite Instant Pot Soup? Smoky Instant Pot Ham and Bean Soup is one of our sweet readers’ favorites. 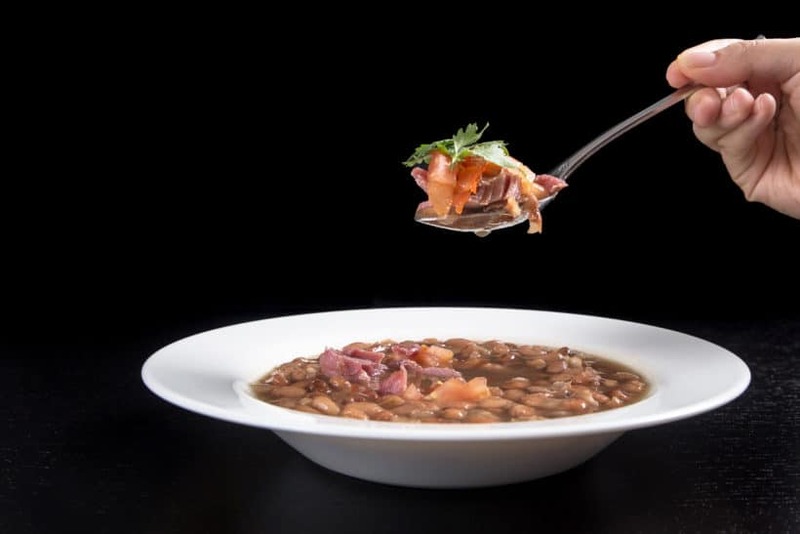 Rich smoky savory bean soup mixed with super moist, flavorful & tender ham. Love the combination & depths of flavors full of textures. The Best part? No need to pre-soak or even quick soak the pinto beans!! How awesome is that? No need to pre-soak the pinto beans, and you can just dump-and-go!! Perfect for weeknights. What we look for in a great bowl of Ham & Bean Soup? 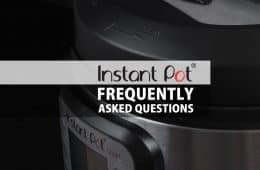 We conducted 2+ tests with the same ingredients using different cooking times in our Instant Pot Electric Pressure Cooker. 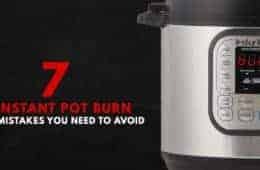 Option A – Dump-and-Go Version: Easy no fuss method where you place all the ingredients in the Instant Pot Pressure Cooker, then set-it-and-forget-it. Season, garnish, and serve! Option B – Fancy Version: Those who want to kick the soup up a notch can use this method. You divide the pinto beans in 2 sets and pour them into the pressure cooker at 2 separate times. You can enjoy the best of both worlds from the 2 above tests – an overall flavorful dish full of body & texture. Pick & remove the bad pinto beans. In a mesh strainer, rinse & clean pinto beans under cold running tap water. 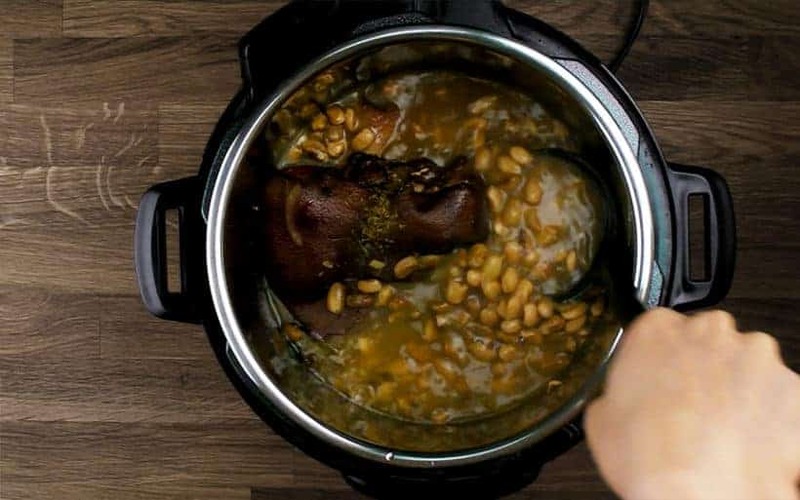 *Pro Tip: you won’t need to pre-soak or quick soak the pinto beans for this Instant Pot Ham and Bean Soup Recipe! 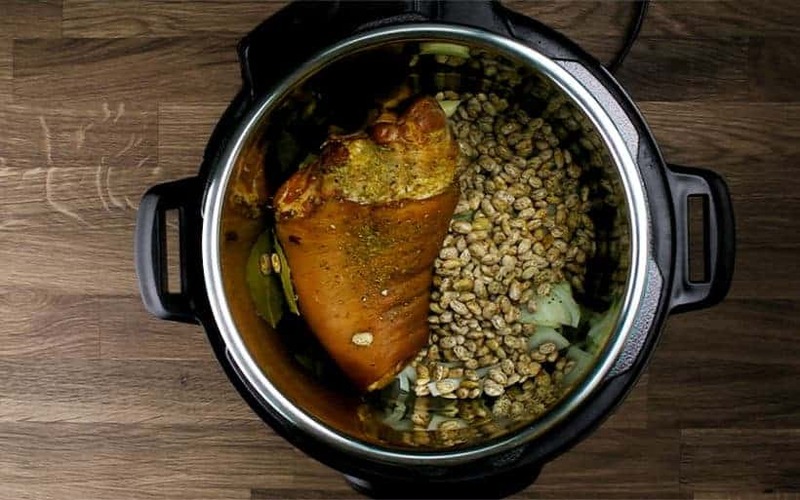 Place 2 pounds smoked ham hock, sliced onion, crushed garlic cloves, 1 tsp ground cumin, 1 pinch dried oregano, 2 bay leaves, and 2 cups (412g) pinto beans in your pressure cooker. Pour in 5 cups (1250ml) unsalted chicken stock. Thicken soup by giving it a few quick stirs with a wooden spoon. Taste and season with kosher salt. *Pro Tip: cilantro adds freshness & fragrance while the minced tomatoes add a fresh crunch to your spoonful of Instant Pot Ham & Bean Soup. Place 2 pounds smoked ham hock, sliced onion, crushed garlic cloves, 1 tsp ground cumin, 1 pinch dried oregano, 2 bay leaves, and 1 cups (206g) pinto beans in your pressure cooker. Pour in 3 cups (750ml) unsalted chicken stock. Pour in the remaining pinto beans (1cup) and 2 cups (500ml) of unsalted chicken stock or water. 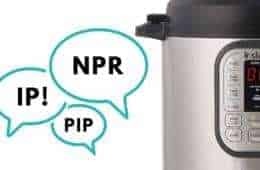 *Pro Tip: this extra step of pressure cooking the pinto beans in 2 separate times will add texture, body, and depths of flavors. This creates an overall flavorful dish full of texture. Garnish with cilantro and minced tomatoes. If you want to spice it up, add in Jalapeno pepper. 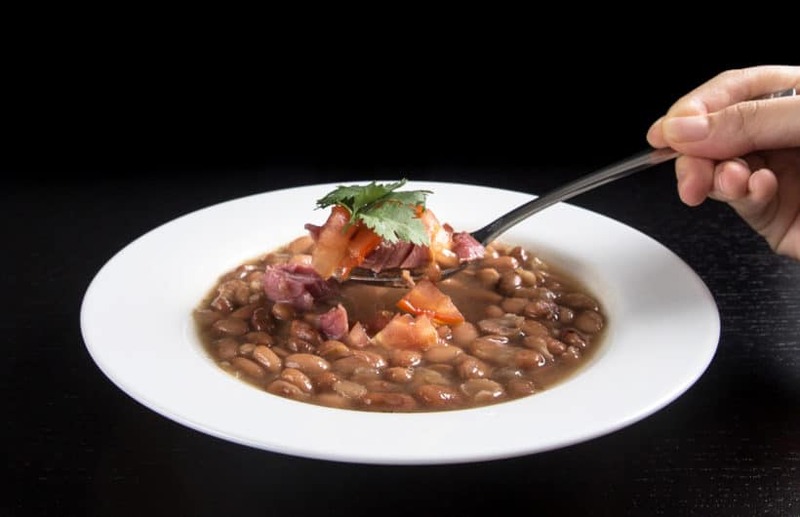 Clean Pinto Beans: Pick & remove the bad pinto beans. In a mesh strainer, rinse & clean pinto beans under cold running tap water. 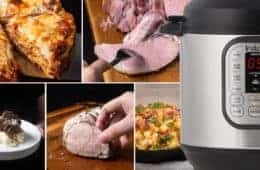 Pressure Cook Ham and Bean Soup: Place 2 pounds smoked ham hock, sliced onion, crushed garlic cloves, 1 tsp ground cumin, 1 pinch dried oregano, 2 bay leaves, and 2 cups (412g) pinto beans in your pressure cooker.Pour in 5 cups (1250ml) unsalted chicken stock. Close lid and pressure cook at High Pressure for 50 minutes + Full Natural Release (roughly 20 minutes). Open the lid carefully. Thicken soup by giving it a few quick stirs with a wooden spoon. Taste and season with kosher salt. Garnish & Serve: Garnish with cilantro and minced tomatoes. If you want to spice it up, add in Jalapeno pepper. 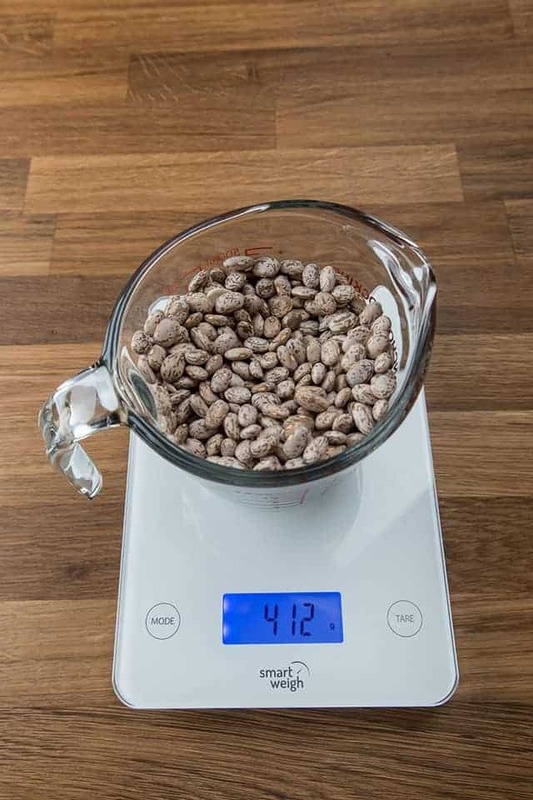 Clean Pinto Bean: Pick & remove the bad pinto beans. In a mesh strainer, rinse & clean pinto beans under cold running tap water. 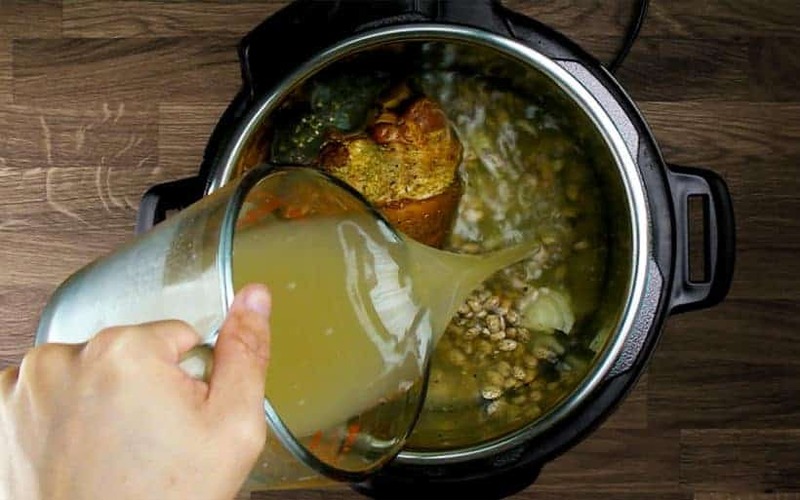 Pressure Cook Ham and Bean Soup: Place 2 pounds smoked ham hock, sliced onion, crushed garlic cloves, 1 tsp ground cumin, 1 pinch dried oregano, 2 bay leaves, and 1 cups (206g) pinto beans in your pressure cooker.Pour in 3 cups (750ml) unsalted chicken stock. Close lid and pressure cook at High Pressure for 10 minutes + Full Natural Release (roughly 15 minutes). Open the lid carefully. 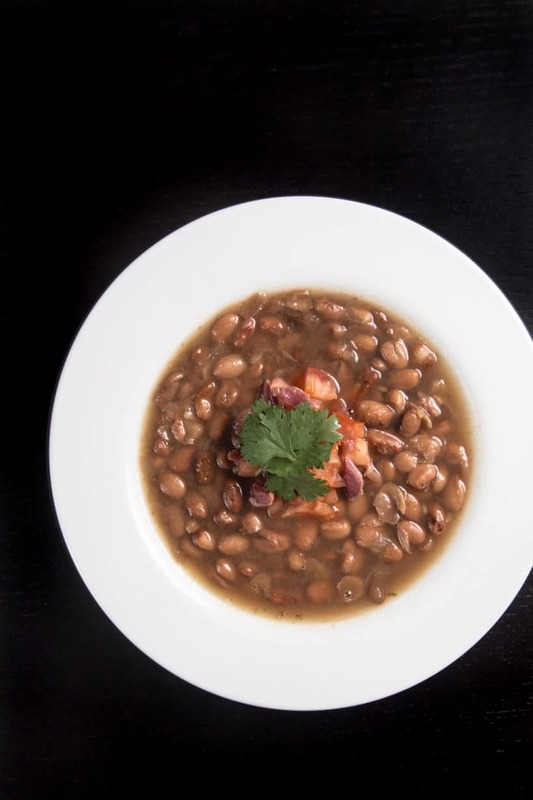 Pour in the remaining pinto beans (1cup) and 2 cups (500ml) of unsalted chicken stock or water. Close lid and pressure cook at High Pressure for 25 minutes + Full Natural Release (roughly 20 minutes). Open the lid carefully. Thicken soup by giving it a few quick stirs with a wooden spoon. Taste and season with kosher salt. 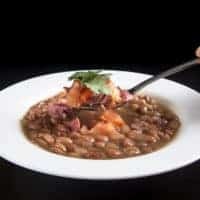 I want to try this recipe but I’m usually squeezed for time in the evenings so I thought soaking the beans should reduce the time needed to cook the ham and beans. How long would you recommend I cook the beans if I soak the beans while I’m gone during the day and then cook them in the the evening? BTW, I love your recipes and really am impressed by how you take the time to reply to practically every comment on your blog. That is GREAT!!! 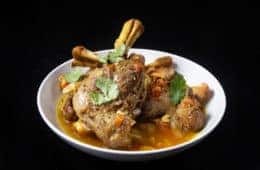 The pork hock will require the longer cooking time so the cooking time will be the same for this recipe. This is a great recipe. I tried the fancy option. A direct quote from my husband “I don’t normally like bean soup but that was pretty damn good.” Just a side note the beans weren’t completely done after the suggested time so I put back on high pressure for another 7 minutes and slow released for 10 min and it was perfect. Ladies this soup “rocks” and so do you! I made this and it was so good that my boyfriend took it home to share with all his roomies! I made it with a hambone and dried mixed beans and it turned out perfectly. I’m making it again today since it’s a cold day and I am home from work recovering from dental surgery… have to eat soft food today. Thanks again for all the great recipes I absolutely am loving my new pressure cooker! Wishing you a speedy recovery from the dental surgery. I tried this tonight and did the fancy method and the beans were not done. 😭. Slipped a pizza in the oven for my ‘starving’ kids. I am sure they will taste good and consider dinner for tomorrow already made up! Lol. I put it them in for an additional 25 minutes. Not sure what happened- but they smelled delicious! Sorry to hear what happened. How old are the beans? Your site is amazing!! Thank you for all the insightful recipes and cooking tips! I have a ham bone from a sweet glazed, spiral sliced Christmas ham… would this work? Could I add some liquid smoke to make up for the flavor? Thanks & hope your holidays were great! The ham bone from spiral sliced ham will work. You can add a few drops of liquid smoke if you prefer. One of the best bean soups I’ve tried. So perfect for fall or winter meal. Thank you so much for this recipe. I was wondering if it is okay to use better than bouillon (has salt in it) instead of unsalted stock? Thanks! Better than bouillon will work fine. You will want to taste and go easy on the seasoning at the end. has anyone tried this with fish sauce? I’ll be making your recipe tomorrow. I love that you did an experiment but I think there may be a mistake in your chart. Your last two rows seem to contradict themselves. Maybe I’m misreading it but you might want to see if you could make it a little more clear. I found you through Pinterest and look forward to making more of your recipes. Made this last night and it did not disappoint! My ham hock was on the fatty side so next time I’ll add some extra ham…I also didn’t have cumin so I put in a few shakes of Tabasco sauce…added some ketchup at the end as that’s how we like ours here as well…it was soooo good! I was scrolling down today’s email offering from you, exclaiming about not soaking the beans for the Ham and Bean soup (game-changer, yes? ), and muttering, “yeah yeah, ingredients, where’s the recipe”, not grumbling about the format of the page, mind you, but just thinking out loud: “Come on, Recipe!”. Men! Ya gotta love ’em, but mostly, ya gotta laugh at ’em. Cheers for now. Thanks for all you do. This looks so good! Could I put a ham bone in instead of the ham hock? A smokey ham bone with some meat on it will work. I’ve made this both ways now; both fancy and fast. Fancy definitely has the aesthetic advantage as far as “blown out” beans, and they’re both very tasty. On my second batch, I only had canned stock at hand, so I supplemented with a portion of the dark juice saved from cooking a chicken. I think I prefer fancy over all, but appreciate how effortless fast was when I needed to cook and freeze. So happy to hear from you again!! This weekend I’m trying out my Christmas-gift Instapot and making the already-famous-cheesecake from your site and this soup. I’m very exicted! I saw that someone mentioned doubling the recipe, which I would like to do as well. My question is whether it will all fit into my 6qt pot? Oh – and do I need an additional 2lbs of ham hocks, do you think? Thank you very much, I’m finding your site and story very inspiring. Doubling the recipe will be too much for the 6 qt. The most I would recommend is 1.3x. You will definitely want to use more ham hocks or the extra liquid can dilute the smokey flavor too much. Thank you so much for your wonderful recipes. I also appreciate your question and answer section, most helpful. Have fun cooking the broccoli soup! They will also work fine in 8qt without any adjustment. I purchase a wonderful 32 bean soup mix that I have always used to make ham and bean soup. Any advice on time/pressure changes if I use this instead of pinto beans (one of the beans included in the mix). My concern is the wide variety and sizes of the beans. Thanks! Most beans should be done after 50 minutes + Natural release. After natural release, taste and see if the beans are done without stirring the liquid too much (as it can thicken the soup). If not, close the lid and pressure cook for another 10 minutes + Natural release. I have a some cooked diced ham to use. I am very new to this. Will this work well? Should timing be adjusted? The cooking time will be the same as the bean will take this long to cook. If you have some ham stock, it will go well with the recipe. Would canned beans work in place of dried beans? Canned beans will work in place of dried beans. 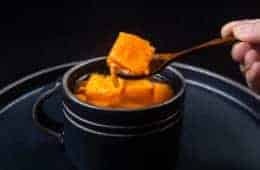 Since canned beans are cooked, I would follow the fancy version and cook the soup for 30 minutes before putting the beans in and cook for another 10 minutes. Made this over the weekend and it quickly disappeared. The time If like to double the amount so I can have some leftovers. 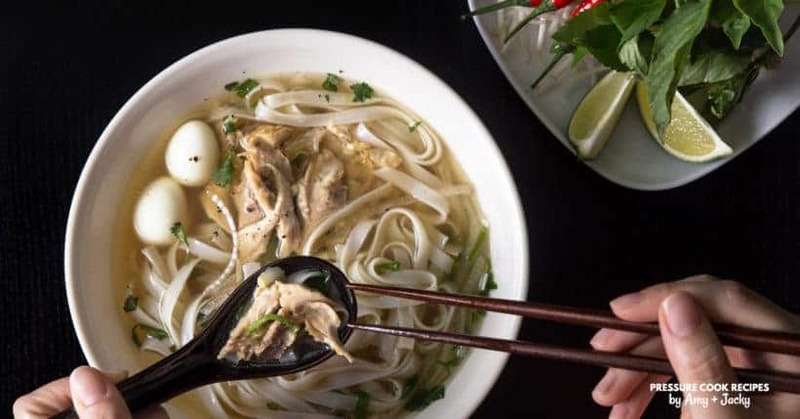 How would I adjust the recipe? The cooking time will be the same as the natural release time will increase due to the amount of food. I like to put smoked sausage in my beans and season with bacon drippings. What would be the cooking time? Do you a NR or quick release? If you are making this bean soup, the timing will be the same. It will be Natural release for beans. I would change the cooking time to 30 minutes. Hello. I just purchased a ham hock, but it is frozen. Do I just increase cooking time 1 min? Since the ham hock will be fully submerged in the liquid, you will not have to increase the cooking time. Would I shorten the cooking time then? Want to make the fancier version of the soup. By the way, love your picture of New York! Saw the Phantom of the Opera there, but to be honest with you, was fun to visit New York, but was glad to leave also! Just a bit too crowded for me? Just to tell you quickly, you two are wonderful people! You do a GREAT job with your recipes, just love you both? We also saw the Phantom of Opera this time and it was fabulous. Please take care & have fun cooking! !